Former Hewlett-Packard CEO Carly Fiorina sounded off on leftist critics accusing her of “attacking” Hillary Clinton, taking advantage of her being a woman to do so. “I felt that was sexist,” Fox News host Sean Hannity said. “It’s funny that you say that, Sean, because I must say I kind of react that way,” Fiorina replied. “First of all, I’m not attacking Hillary," she said. "I’m asking questions. I’m asking very legitimate questions about her transparency, her trustworthiness, her track record." “I’m not asking because I’m a woman,” Fiorina added. The potential 2016 GOP presidential nominee slammed Mrs. Clinton for “hiding” from the media, refusing to answer questions about her actions as President Obama's former Secretary of State. "There's a whole series of questions that she really doesn't want to answer, and so she is hiding," Fiorina said. "The fact that she’s held a bunch of highfalutin titles is interesting," she noted. 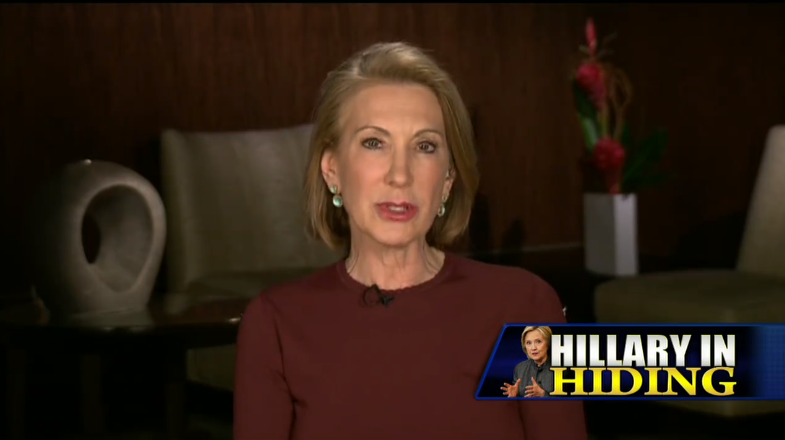 "The fact that she hasn’t accomplished anything while she’s held those titles is more interesting," Fiorina fired. Since kicking off her presidential campaign 32 days ago, Clinton has answered anywhere from eight to 13 questions from the press, depending on how you count. By comparison, Fiorina took 322 questions in the first eight days of her campaign, reported Breitbart News on Monday. 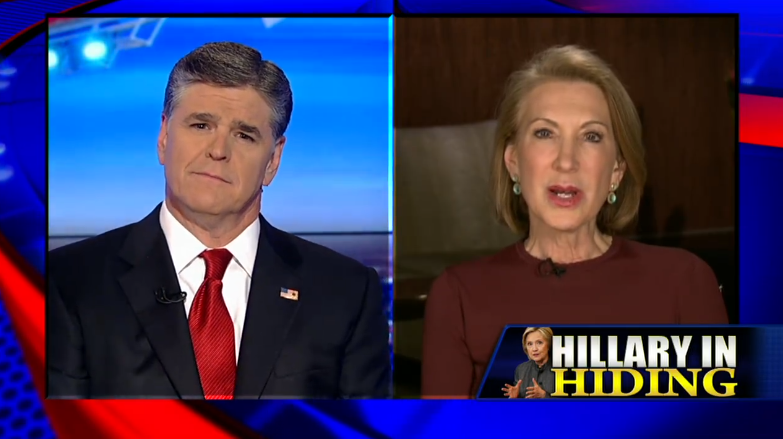 Check out Carly Fiorina’s remarks on last night’s Hannity below.